Kathmandu founder Jan Cameron and Wotif founder Graeme Wood might want to consider an exorcism of the Tassie wood chip mill they bought in 2011 from collapsed timber giant Gunns. Cameron torched most of her fortune the following year on a misadventure with bargain retail chain Retail Adventures. On Wednesday, Wood saw $50 million of his wealth go up in smoke when Wotif issued a catastrophic profit downgrade. Maybe greenies and wood chipping just aren't meant to mix. 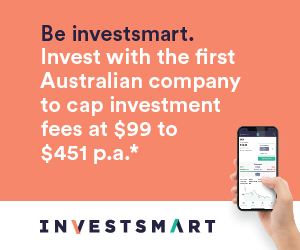 Wotif's ASX stock ticker, WTF, felt very appropriate after its shares plunged as much as 30 per cent following the "market update". At least Wood's investment diversification saved part of his fortune from the conflagration. In late October, Wood sold 2 million shares for $8.9 million - or $4.45 each. Not bad given the stock's plunge below $3 on Wednesday, although he still got smoked pretty badly on the 41.8 million Wotif shares he still owns. About $2.2 million of the sales proceeds went to his charitable trust. How much does it cost to fly a private jet across the Nullarbor? Ten director, and Fairfax Media shareholder, Gina Rinehart may have been asking herself this question before the broadcaster's AGM on Wednesday. There are plenty of other business interests that demand her time, of course. Indeed, Australian Mining reported that Rinehart last week flew into regional Queensland to help judge the Christmas lights competition in Alpha and Jericho. Of course, Rinehart is developing the Alpha coal venture. Ten's shareholders were debating precisely this issue with chairman Lachlan Murdoch on Wednesday. Given Ten's performance over the past year, many were wondering if it was wise to have CEO Hamish McLennan chairing Realestate.com.au. The property player's CEO and CFO are walking out the door, and it will clearly make strong demands on McLennan's time. It was a medal-worthy double twist with pike from Murdoch, who tried to argue McLennan was completely devoted to Ten while boasting of his own availability to Ten as chairman. Murdoch said that, as Ten's non-executive chairman, he considers himself "available 24 hours a day, seven days a week, as I must be in running the board and the matters in front of the board". Either McLennan has a time machine or he does not feel the need to devote himself as wholeheartedly to his chairman's duties at Realestate. "I can say in good faith that Mr McLennan is wholly, holistically, and wholeheartedly committed to all the shareholders and stakeholders of Network Ten," Murdoch told investors. "Neither I, nor the board, has seen any evidence of the lack of commitment, or time, or effort, or focus on anything other than the business of network Ten." Hmmmm, so what does that mean for Murdoch as a director of Realestate's majority shareholder, News Corp? Facing his last shareholder meeting as ANZ chairman on Wednesday, John Morschel found himself in the usual role of defending the pay packet of his chief teller Mike Smith. A ropeable shareholder took the board to task over the non-monetary benefits awarded to Smith. This includes $145,681 in non-monetary benefits, which goes towards car parking, tax services, relocation and life insurance. "At $10 million a year, he is entirely capable of paying for tax services himself to minimise his own taxes," the shareholder said.